Others In Attendance: 5 residents. Clerk, Garner, presented the minutes of the Regular Board Meeting held May 9th, 2018. Supervisor Dawson moved to approve, as presented, seconded by Trustee Gudat; followed by a unanimous “Aye” voice vote. Community Policing Report: Deputy Rial reported that Brad Wallin Tournament went well with one incident between coach and umpire that off duty officer interceded before matter escalated. Deputy drove by area where tractor and trailer were reportedly parked on street, but vehicles were not present. Motor vehicle burglaries are on the rise with multiple incidents reported in Dunlap. Residents need to be vigilant and lock their vehicles. Supervisor Dawson asked for public comment and recognized Doris Humes. She presented concerns of vehicle parking on roadway creating a public hazard due to visibility problem. The area of concern is Farnam and Moss that is an unsigned intersection. Discussion held with representatives of Peoria County Sheriff Department who will follow-up with resident. Investment Report: The Investment Report ending on June 13th, 2018 was accepted as presented by the board. Supervisor Dawson presented audited reports for review and signature. Supervisor Dawson presented Stenger Lawn Maintenance mowing invoice for review and approval. After board reviewed, Trustee Clinch made motion to approve invoice # 9791, seconded by Trustee Gudat; followed by a unanimous “Aye” voice vote. We did our street tour last Friday. I am calculating quantities and need to prepare an estimate. Sweeping of streets with curb and gutter is done. .
Next week, the crew will be removing and replacing several culverts on Ivy Lake Road, in preparation of tilling and seal coating. . Talked to the state about the salt order form. They no longer mail the order form. They emailed it to the former secretary’s email, which is no longer a valid email. Their new policy is: they email the form the first time, if no response, they email it a second time, if no response, you are off the list. No follow-up and no phone calls, you are just off the list. I talked to Cargill, and we can contract directly with them. Should know price per ton by the end of June or middle of July. Apparently, the license agreement with Last Chance was dropped off their priority list. They have gone quiet since last month. Guess I will have to get their attention back. We did get the speed bumps installed on the entrance to ball fields. Trustee Clinch reported problem with effluent line to septic system. River City did not have permit. Road Commissioner advised that issue is between property owner and contractor to correct issue. Discussion held on removal of trees subject to falling onto township easement. Trustee Molohon reported that another garage door will be installed at maintenance building at park. Also, Wells Fargo has addressed clean up and mowing at repossessed property in Cedar Hills Estates. Grant Request Mossville Fall Festival/Fireman’s Breakfast: Supervisor Dawson presented grant request. Supervisor Dawson advised by board president of community fire department that they were not participating in festival. Counsel also provided opinion advising against donations to commercial operations. After discussion, Trustee Molohon moved to deny request, seconded by Trustee Clinch followed by a unanimous “Aye” voice vote. 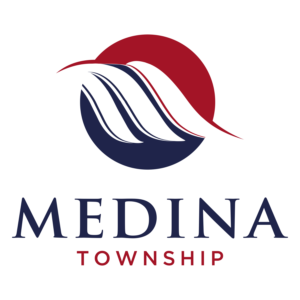 Medina Park Use Contracts: Supervisor Dawson recognized Clerk Garner who presented Medina Park Contracts for Use. Clerk Garner presented agreement for IVC District # 321 for the period of August 1st to September 30th, 2018 accompanied by certificate of insurance. Clerk recommended approval of agreement. Motion made by Supervisor Dawson to approve IVC District 321 for junior high baseball agreement, seconded by Trustee Gudat; followed by a unanimous “Aye” voice vote. Discuss and vote on addendum to current sheriff department contract: Supervisor Dawson recognized Chief Detective Joe Needham and Captain Tyler McCoy from the Peoria Sheriff’s Department. The current contract will continue under existing terms until December 31th, 2018. Data collected by new program presented for board’s review and will be provided on monthly basis. Motion made by Trustee Clinch to accept Policing Services Addendum as presented, seconded by Trustee Molohon. A roll call vote taken by Clerk Garner, with Supervisor Dawson, Trustee Gudat, Trustee Molohon, and Trustee Clinch voting “Aye”. The motion passed. Prevailing Wage Act for 2018/2019: Supervisor Dawson moved that Ordinance No. PW-18-TWN be adopted, as required by statute; seconded by Trustee Gudat followed by a unanimous “Aye” voice vote. Prevailing Wage Ordinance (Road District): Road Commissioner Sturm ordained Ordinance No. PW-18-RD as required by statute.